A graduate of the Mayo College, Ajmer he did a hotel management course in the UK and then went on to Chicago, USA where he learnt the job thoroughly even washing dishes, changing linen and serving the guests. His business instincts have seen the wonderful crystal collection in the palace as well as its fantastic fleet of vintage cars opened to the public for a considerable fee. Married to H.R.H. Princess Vijayaraj of Kutch, Gujarat, they have been blessed with three children: Princess Bhargavi Mewar, Princess Padmaja Mewar and Prince Lakshyaraj Singh Mewar. H.R.H. 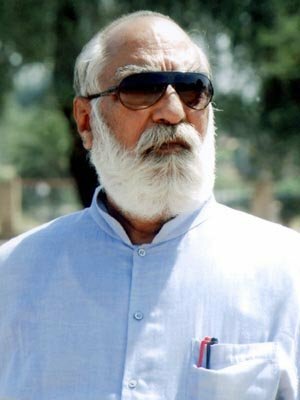 Arvind Singh Mewar is Managing Trustee of the Maharana Mewar Charitable Foundation and Chairman and MD of the HRH Group of Hotels. Both these organisations were established by his father H.R.H. Bhagwat Singh Mewar. After the independence of India in 1947, Bhagwat Singh Mewar started focusing on the preservation of Palaces, tradition of House of Mewar and earning money through these palaces by converting them to Heritage Hotels. Keeping his father’s vision in mind, he has been continuously transforming the past into the future. The tourism industry H.R.H. Bhagwat Singh Mewar began with a single royal residence (the Lake Palace) turned into a hotel in 1963 is now the Historic Resort Hotels Group which includes the magnificent Kumbhalgarh Fort that boasts the second longest wall in the world after the Great Wall of China and numerous palaces. The Shiv Niwas palace of Udaipur received the Heritage Award for Excellence in January 1999 from the Prime Minister. Today the HRH Group of Hotels have many palaces throughout Rajasthan converted into luxury heritage hotels. Staff totals over 1200 personnel employed in the family’s heritage hotels, resorts and charitable institutions. Next articleआप सुन रहे है आर. जे. प्रदीप को…..!!!! We all Hope you name, fame and prosperity multiplies exponentially.. 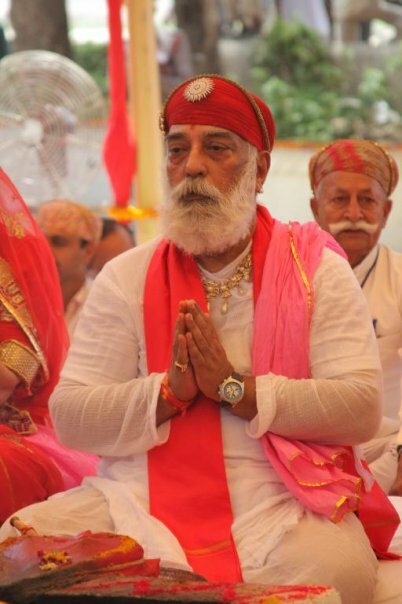 I Vitthal Vaghela as a professional & only Tattoos Artist of Udaipur wishes Happy Birthday to Shri ji Arvind Singh ji Mewar & wishing for your long life,prosperity,name & fame forever.We pray to god for your all time well blesses for our all Mewri.Khamma gani Hukam. .Prasun.. u reallly done a …great ..job ….by ..making familiar with Meera .mam.. she is a lady ….who ..needs no explanation …… I really …wanna …salute …her We always …love her … I m very thankful ……to Meera mam …n Vyas sir …thak makes me a part …of their …..college ….!!!!. Bawji Hukum ne ghane maan su janamdin ri badhavi…. I Vitthal Vaghela as a professional & only Tattoos Artist of Udaipur wishes Salgirah ki subhkamna to Shri ji Arvind Singh ji Mewar & wishing for your long life,prosperity,name & fame forever.Khamma gani Hukam.Miss you very much today.